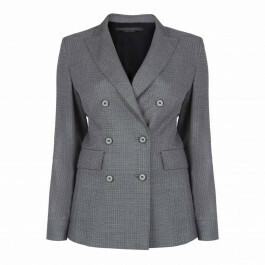 Marina Rinaldi are the undisputed masters of plus size tailoring and their blazers are absolutely essential for the modern business woman who needs to look razor sharp and put together at all times. This double-breasted revere collar blazer in a contemporary shade of denim blue is made from a heady blend of virgin wool and silk. 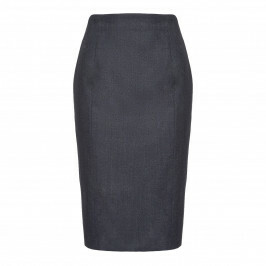 Team with the co-ordinating trousers or pencil skirt for a suit that's right on point. Alternatively team it with jeans and heels at the weekend. Navy semi-fitted blazer in stretch, yarn dyed wool and silk with princess-line seam at front and back, lapel collar, long sleeves and set-in flap pockets. Lined. Double-breasted fastening with buttons.80% virgin wool, 19% silk, 1% elasthane. Dry clean only. Do not tumble dry.